It grows at the rate of a foot a day and it will quickly swamp anything that it can climb, from trees to power poles, even buildings. It kills any flora it comes in to contact with, blocking access to light, growing over it and creating shading with its leaves - so denying its competition the ability to photosynthesize. It now covers 7 million acres of the US Deep South and is continually advancing. 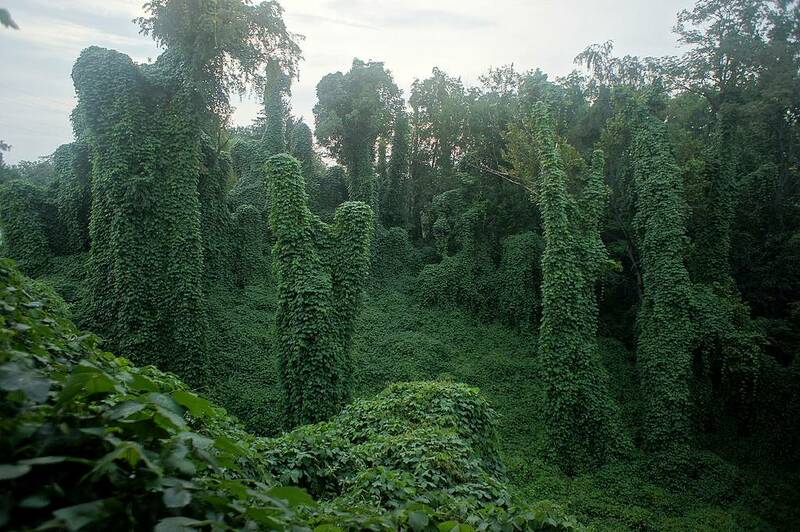 This is the day of the Kudzu.